Pique cotton polo shirt. Features striped ribbed sleeves and collar with metallic gold embroidered roses, woven labels, embroidered patches, allover print pattern, curved bottom hem and custom logo buttons. Fits true to size. 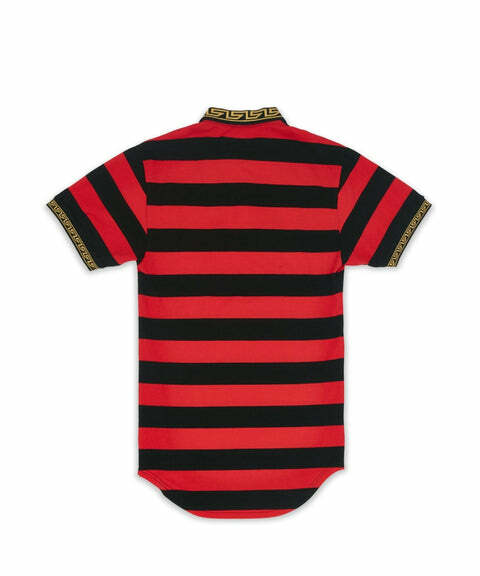 Yarn dyed red and black stripe pique cotton polo shirt. Features embroideries on chest, contrast pattern on sleeves and collar, and curved bottom hem. Fits true to size. Pique cotton polo shirt. 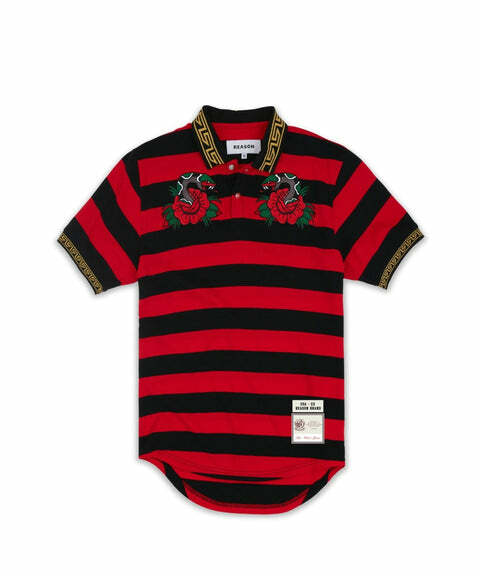 Features striped ribbed sleeves and collar with embroidered roses, woven labels, embroidered patches, allover print pattern, curved bottom hem and custom logo buttons. Fits true to size.